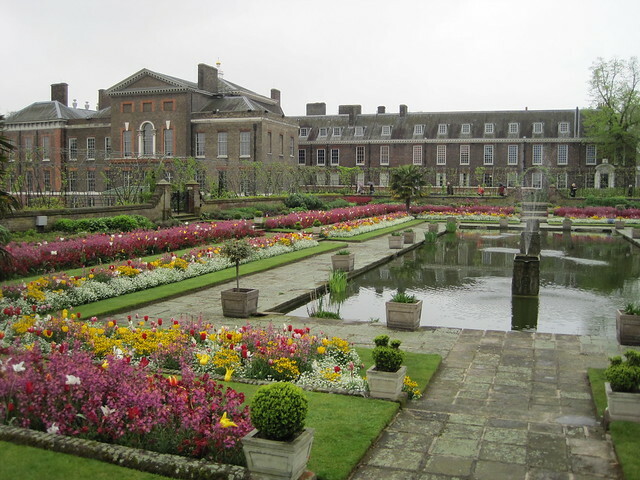 Kensington Palace is famous for being the home of Princess Diana. And of course it's the new London home of Wills, Kate & baby Prince George. 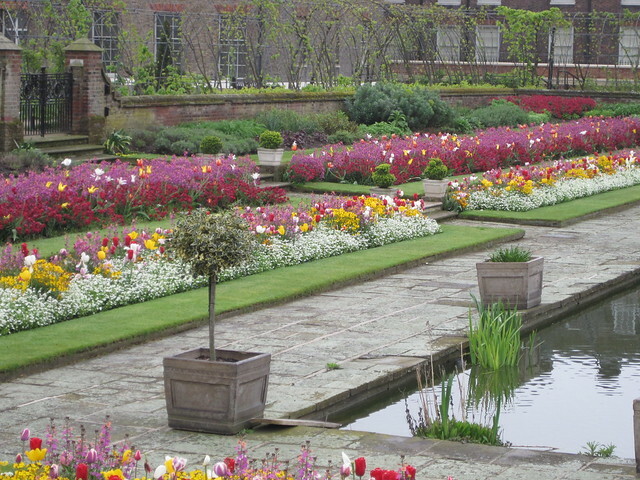 It also has an epic garden. Oh, & it was the birthplace of Queen Victoria. Jenny & I got to visit last year. It was one of my favourite things we did while we were bashing around London. We kept our eyes open for Kate & Lupo while we were there, but they must have been in Wales that day. 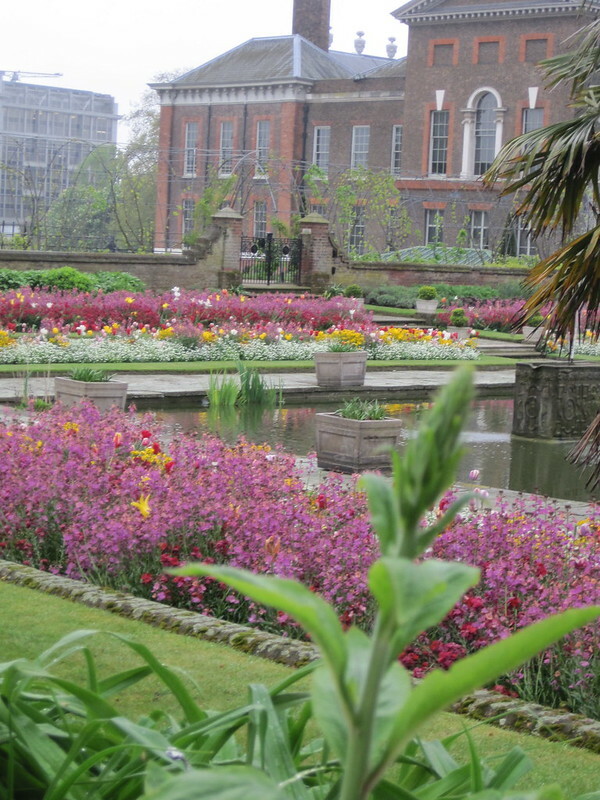 It was typical drizzly grey London weather, but check out those flowers. 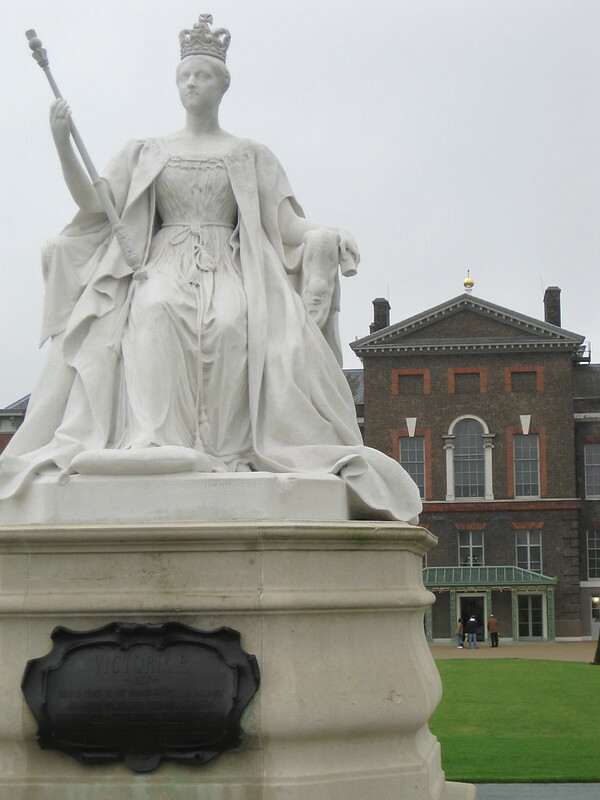 While we were at Kensington Palace there was a special display about Queen Victoria, which walked through her whole life. 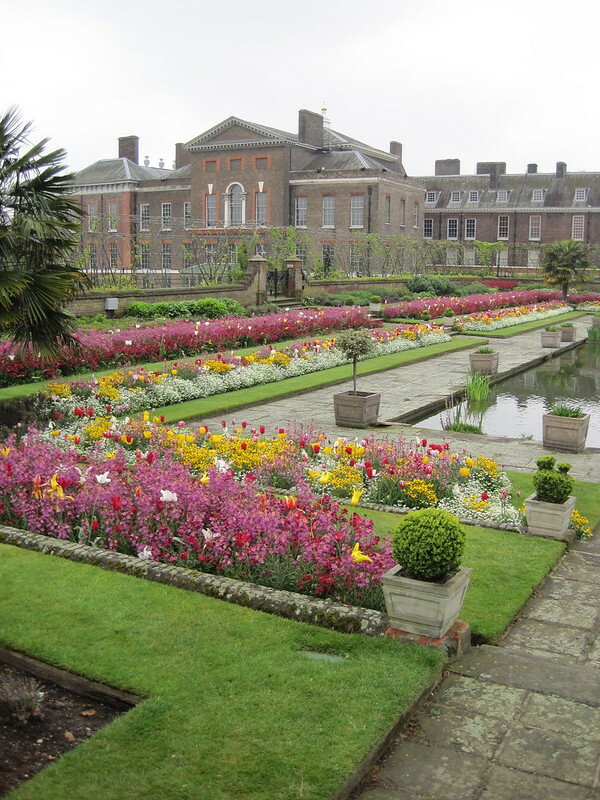 Love affair with Albert, throne by age 18, nine kids, years of grief & seclusion, England's beloved monarch, etcetera. It was awesome. 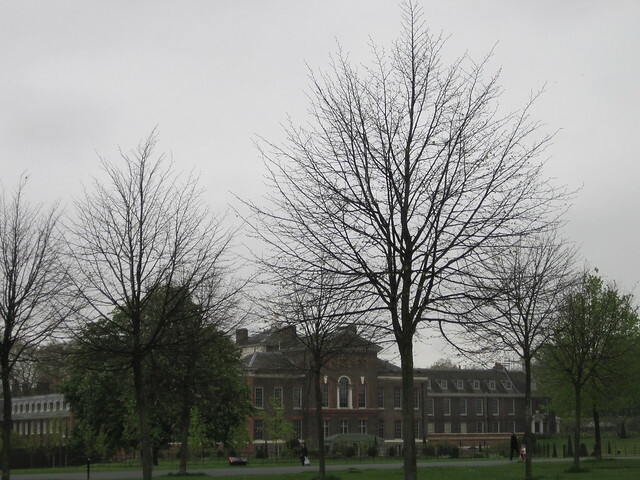 Kensington Palace also has a few of Princess Diana's dresses. 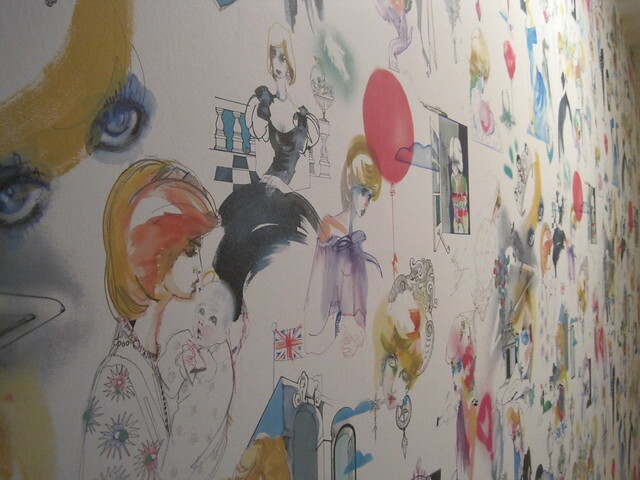 And Princess Diana wallpaper, naturally. 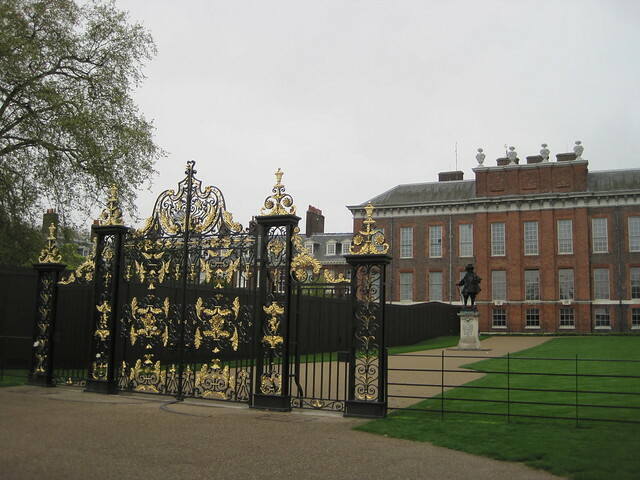 And here's the gate where everyone laid flowers & cards back in 1997 when Diana died. 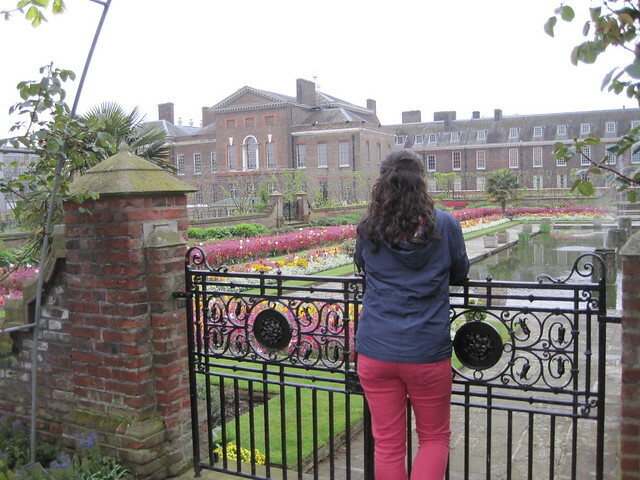 I'd say Kensington Palace is totally worth the cost of admission. And not a bad London home for Prince George. How is it that I never went here? 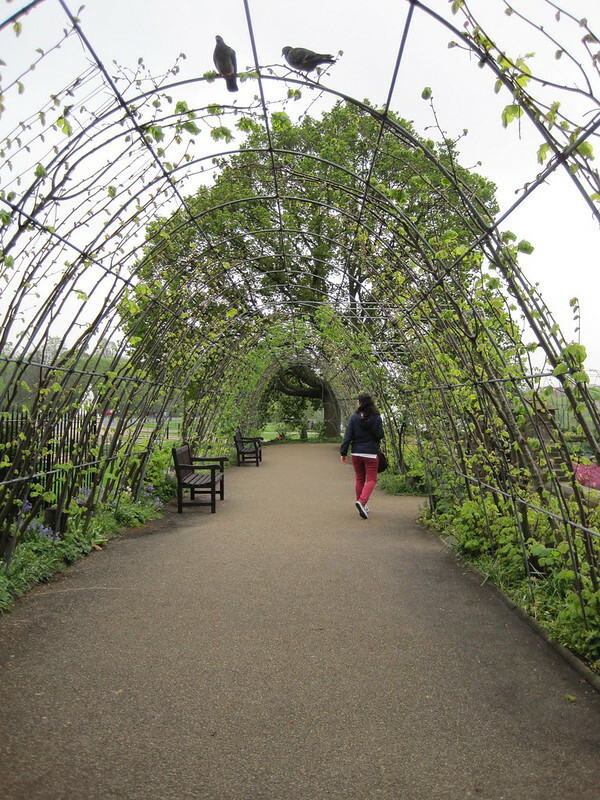 Also... the gardens and grounds are lovely. Hope you saw Diana's memorial. 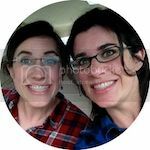 It was pouring the day I visited this past August so I enjoyed seeing your beautiful photos!